Metcheck.com - The Metcheck Knowledge Base With 31 Articles! - What Is An Inversion?. As you are probably aware, the temperature naturally decreases with height in the troposphere. However, when it increases in temperature, we call this an inversion. - Radiational Inversion. This is formed as the earth cools overnight due to longwave radiation being emitted into space. Air near the surface will cool much quicker than the air slightly higher up which creates a steep inversion of temperatures. This inversion is eroded by daytime heating. - High Pressure Inversion. Air is usually sinking uniformly throughout an area of high pressure. This process warms the air adiabatically. However, when the air does not sink at a uniform rate then an inversion will form where the strongest sinking rate is occurring. 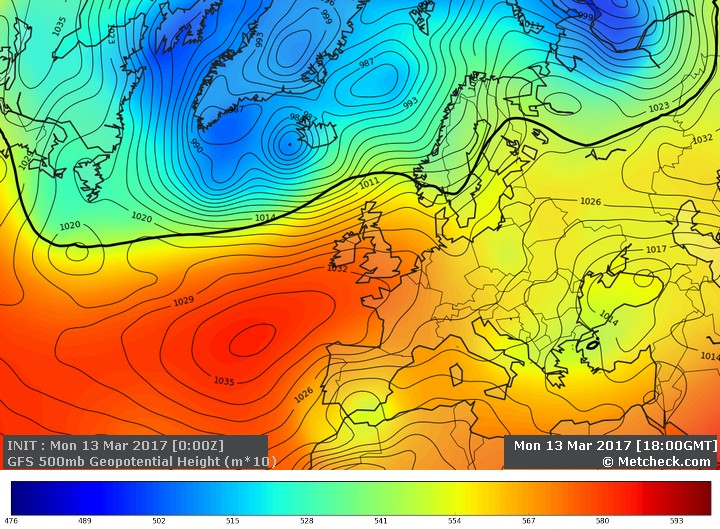 Within high pressure areas such as the Azores high this tends to happen between 850mb and 700mb. 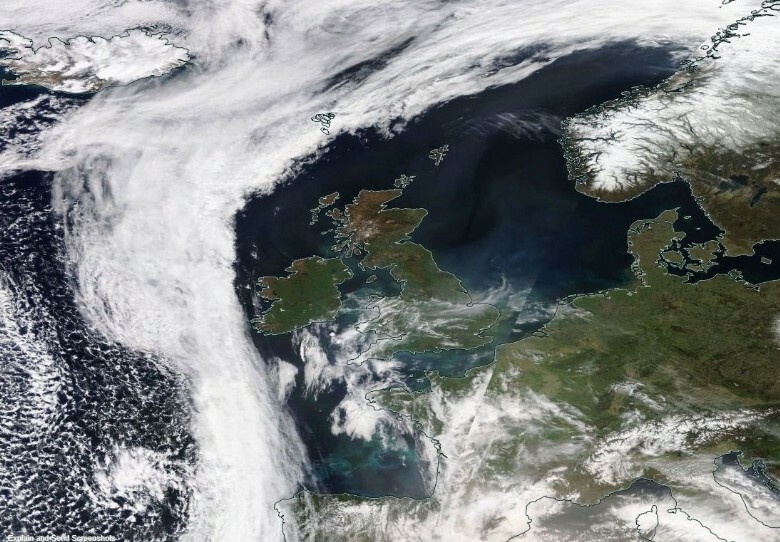 - Warm air travelling over colder water such as the North Sea will create an inversion at lower levels as heat is conducted away from the air to the colder water. This inversion also promotes moisture at lower levels and can result in features such as the Haar which affects Northeast coastal areas during the Spring/Summer. - Cold Front Inversion. 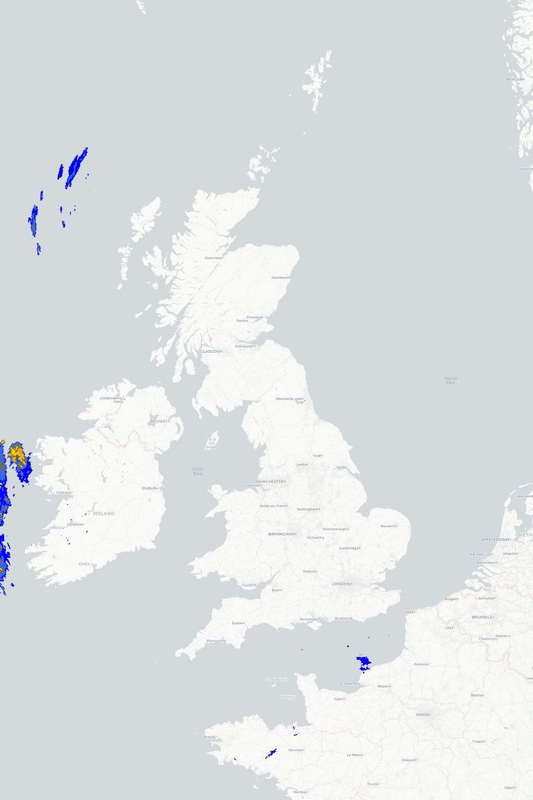 You will probably notice that after a cold front has passed through your location there is a brief period of fine, dry weather before showers develop. This is due to a cold front inversion where the colder air is sinking directly behind the front at lower levels, however due to the structure of the front there is still residual warmer at at upper levels. - Warm Air Advection Inversion. This is the process where warmer air is drawn in from another location (usually the near continent) at upper levels. 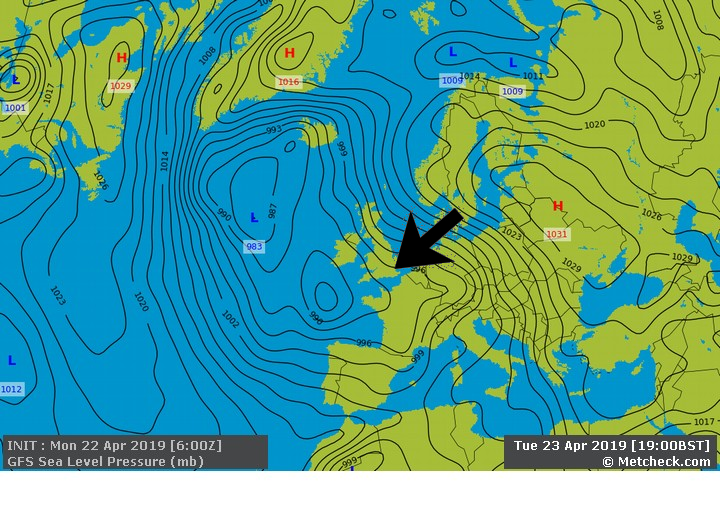 This normally occurs where the wind direction at height is different to the air at the surface and cooler air comes in from the Southwest, whilst at height warmer air is drawn in from the Southeast. This process creates an inversion called a Cap. If the air is warmer at 700mb than 850mb then an inversion will form. What Is A Weather Pattern? Why Do Sea Breezes Develop? Do Clouds Really Act Like Blankets? This is a Metcheck Knowledge Base article. Every day at 12.30pm UK Time we add a new knowledge base article to the site which will cover a more advanced part of meteorology. They are also the type of questions you've always wanted to ask. Over the next few weeks as more articles are added we will make the index more searchable as well as adding new lesson areas.